How is it that religious zealotry can be at once so fascinating and terrifying? I was just a kid when those people in California donned Nikes and drank poison in an effort to hitch a ride on a spacecraft tailing Hale-Bopp, but I remember even then being interested in and disgusted by the lengths people would go to appease their religious leaders. There's something about cults that scares me but also makes me desperate to understand, so that I can avoid being hoodwinked and controlled myself. It's hard for me to turn down a book that explores this topic, so it wasn't a surprise that The Last Days of California and Gated snagged my interest, with their common premise of families taken over by extreme beliefs. In both of these books, the apocalypse is coming and teenage girl narrators must decide what they believe and who they can trust. One girl is trapped with her parents in a cult community led by a charismatic and deadly leader, while the other is on a modern-day odyssey with her older sister as her self-styled guide into adulthood. The style and intended audience may not be aligned, but the themes are parallel, making these two books an unlikely but complementary pair. 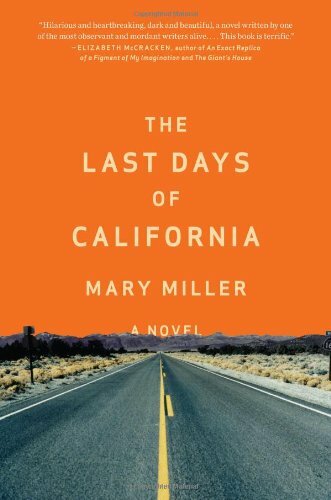 The Last Days of California by Mary Miller (find it at your library here) follows fifteen-year-old Jess and her family on a cross-country road trip in what her parents believe are the last days before the Rapture. Jess's father has decided the family should leave their home in Alabama and journey to California, passing out leaflets warning of the impending doomsday at gas stations and restaurants along the way. He wants to reach California so that from their vantage point in the Pacific time zone, they can watch apocalypse coverage on the news and be among the last to be raptured. That seems reasonable, right? Jess and her older sister Elise aren't believers the way their parents are. Elise has been going through the motions to appease their parents, but at the beginning of the trip discovers she is pregnant. Jess is conflicted in the way of most teens, though her parents' religious fervor adds weight and seriousness to all of her questioning. Miller's roots as a short story writer are clear in her shrewdly chosen details and spare prose. She doesn't ever over-explain; she allows Jess's ambivalent thoughts and sometimes destructive actions to speak for themselves. Her portrayal of adolescence is stark but genuine. I have to admit that going in, I thought this book was going to be funnier than it was. The premise seemed goofy to me, the road-trip device primed for slapstick escapades, but that's not what this book is at all. It's meditative, melancholy, artful—all very good things—just don't let the setup fool you into thinking this is a light-hearted coming-of-age romp. While Miller's book is written about teens, its audience is decidedly adult. 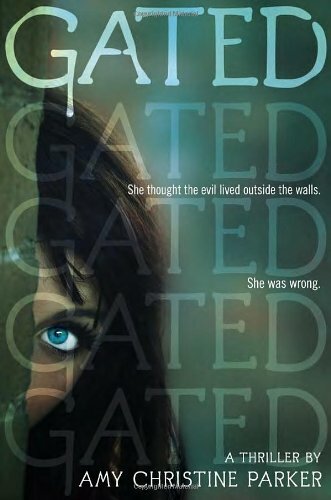 Gated by Amy Christine Parker (find it at your library here) is from the YA section, though its plot and pace commanded this adult reader's attention. Lyla Hamilton lives in The Community, a gated subdivision of religious exiles led by their prophet, a man they call Pioneer. Lyla's parents chose to join Pioneer's movement after her older sister was abducted in front of their New York City apartment. Now, Lyla is fifteen, and Pioneer has chosen her friend Will as her future spouse. Life in The Community is peaceful, and everything seems to be perfect—that is, until a sheriff from the neighboring town comes to investigate The Community, and Lyla forms an unexpected connection with his son. Realizing his grasp on control is weakening, Pioneer declares the apocalypse is coming sooner than he thought and urges his followers to enter the underground bunker they've prepared for the end times. Lyla suddenly has lots of questions about who Pioneer is and whether he is trustworthy, and she must decide who to believe quickly if she wants a chance to save her parents and friends. Parker mercilessly ratchets up the pace and the tension, and even though at one point I intended to stop reading and finish the book the next day, I found myself flipping pages compulsively to the end. Sometimes bedtime has to wait. If you love that “have to find out what's next” feeling, Gated will get you there for sure. Both books depict thinkers, girls who refuse to blindly follow their parents into their own doom. Despite how different they are in style and tone, these books and their narrators make a great pair. Read them together and enjoy watching Jess and Lyla fight the system and struggle to grow up on their own terms.